Hey, I don't make this stuff up! It's a sign of things to come! 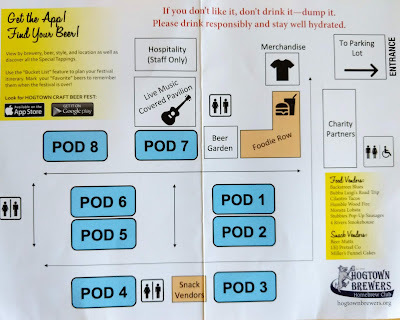 With the brewery list on the back of the program, find that beer! This was my seventh year attending Hogtown Craft Beer Fest (only missed year one), and it's changed venues a few times. 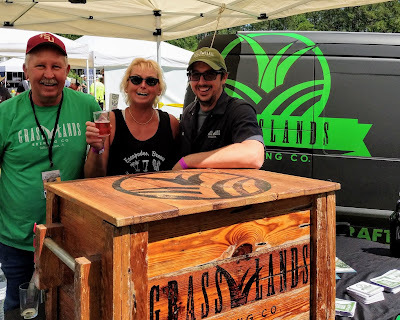 The county fairgrounds provides a very friendly site for a beerfest, with a large, conveniently located parking lot, covered pavilion with seating for eating and listening to the band, and several long, easy-to-walk rows featuring the beer tents and food trucks. There are permanent restrooms in the fairgrounds building, and ample portable stations arranged on three sides of the fest grounds. It's also very functional and able to withstand heavy foot-traffic without damaging plants, trees and the environment. 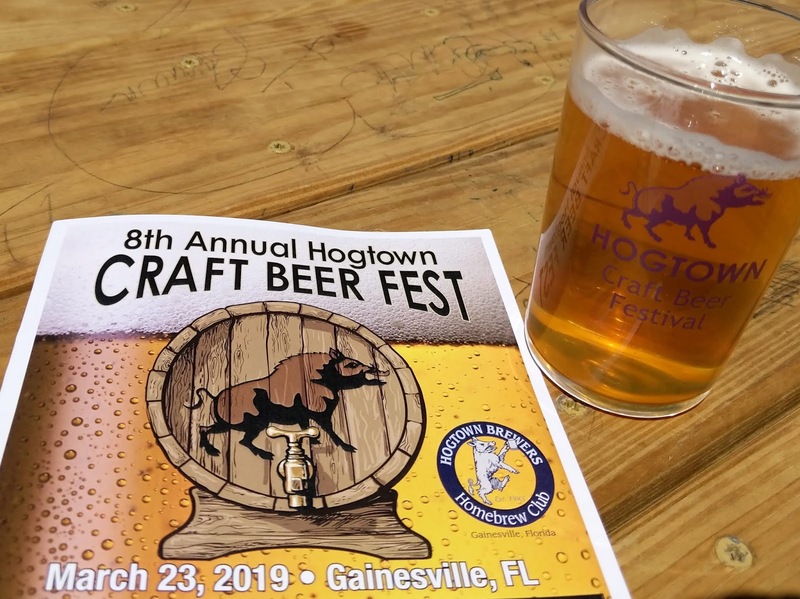 According to fest organizers, a scheduling conflict created the date change from the mainstay April date of years past to March this year. 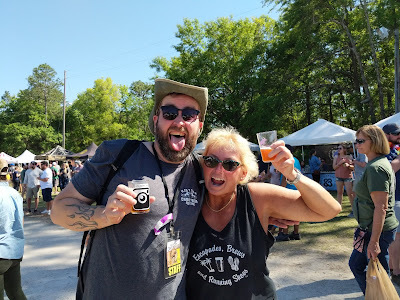 While it's unknown as of this time whether the fest will return in March or April in 2020, there was no rain this year, just lots of blue sky and sunshine, with temps in the upper 70/low 80 range -- picture-perfect day for a beerfest! 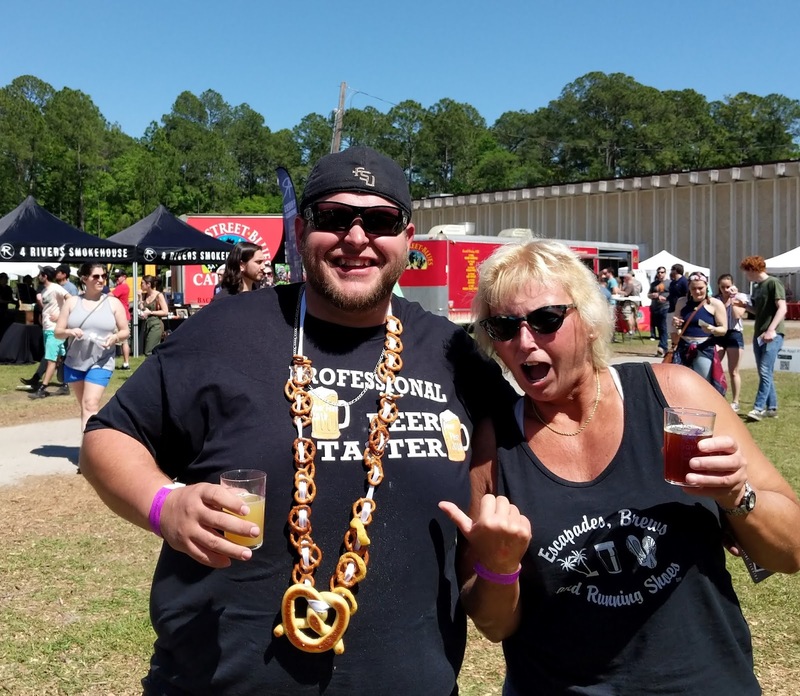 Sometimes it's tough to tell whether the beerfest is about the beer or the people! 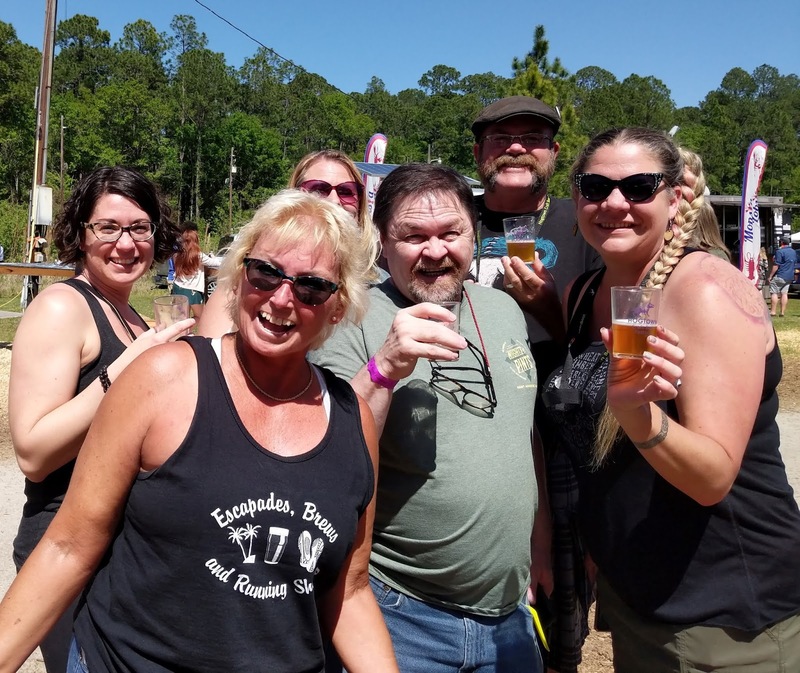 Yeah, it's both, but there's always so much camaraderie among the brewers and attendees, and the people are just as much of the story as the beer! That said, let's get to it! 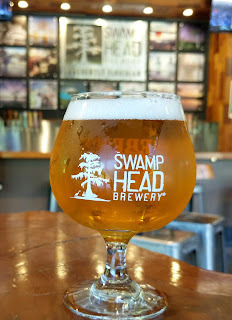 This site is no stranger to Gainesville, so the first stop had to be a Gainesville brewery (when in Gainesville, you know). 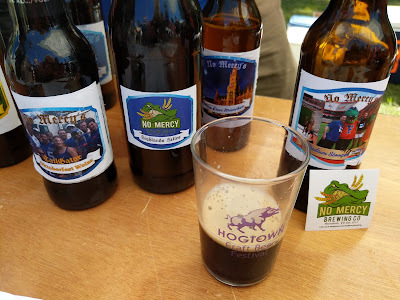 Hello, again, First Magnitude Brewing! The day started off with a crisp Travelers Czech (get it?) Pilsner, and a visit with the First Mag crew, including John, Christine, Simon at the tent (actually there were several stops here). 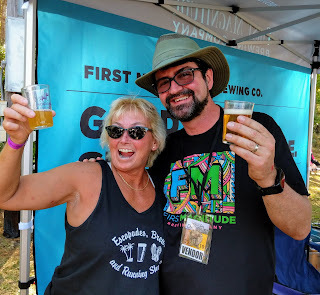 With John Denny, co-owner and brewer, at First Magnitude. Had been to two events already this year at First Mag. With so many beers and so many people to see, where to next? 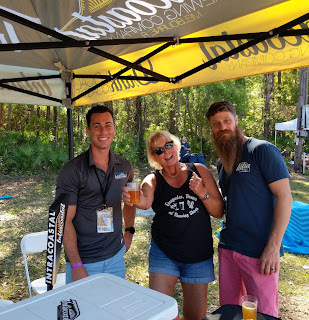 The Jacksonville/St Augustine contingent was out in force. 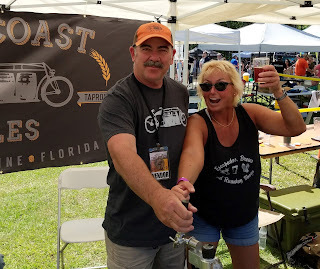 Old Coast Ales (St Augustine) returned for its second year. Doug is one intense guy; never a dull moment! 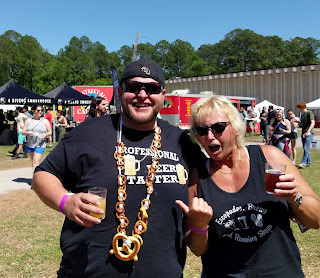 By the time I made it over to Aardwolf Brewing (Jax), the Biscotti Early Bird Special was tapped out (one of these days, I'll learn), but there's more beer! Always a popular tent at beerfests. And, Lance looking the part! 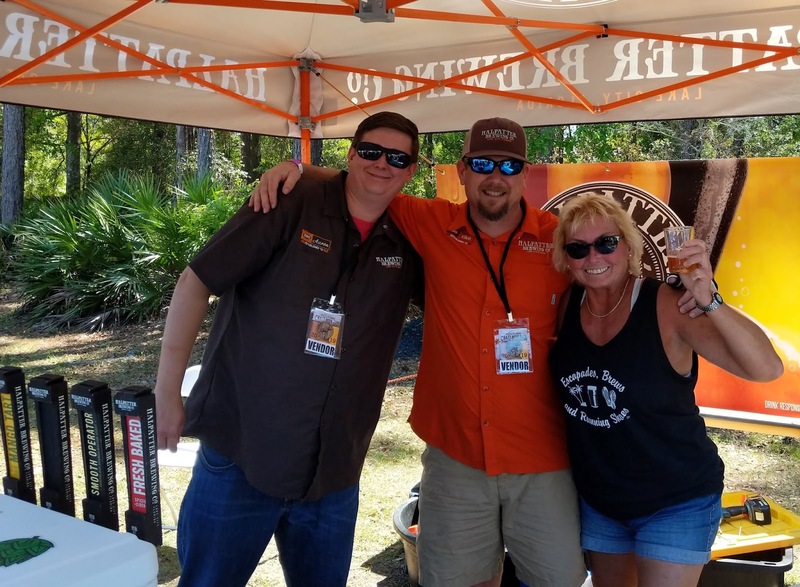 Four Tallahassee breweries made the trip south on I-75 to GNV, and that's another area that's up-n-coming for craft beer. Whaddaya know, another familiar, friendly face! 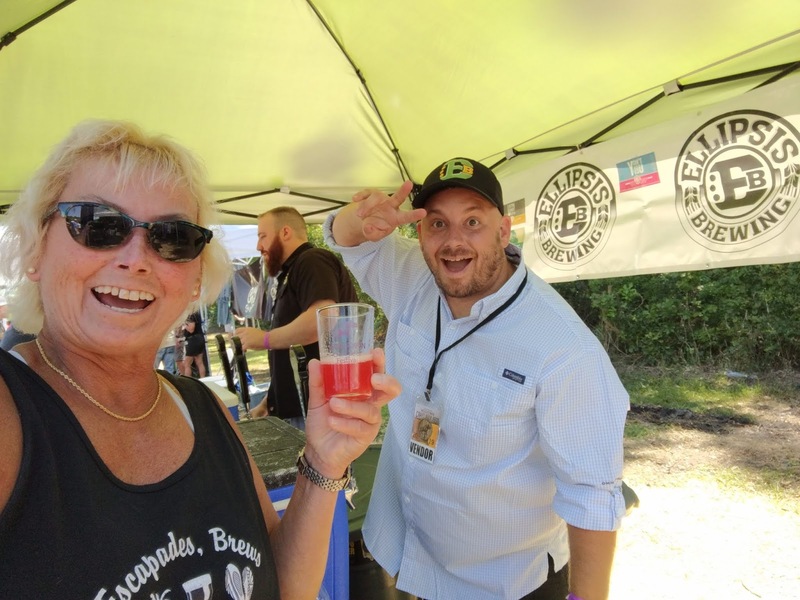 with the "jamz," as in LeBron Jamz, a blackberry/raspberry Berliner. Have known Gabe since about 2012 or so, and always an awesome visit! 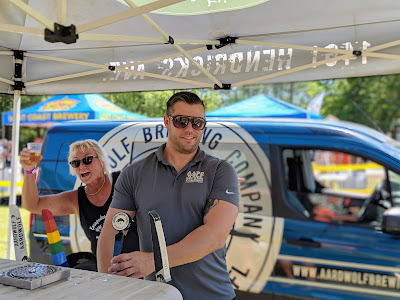 Ryan LaPete of Deep Brewing was pretty much a one-man show, and it was either the cool table set-up or the beer (or his personality) that had a steady line all afternoon (probably all of the above). 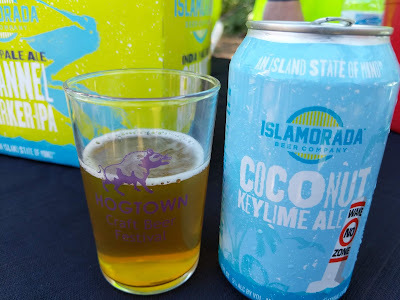 at 2019 Best Florida Beer. 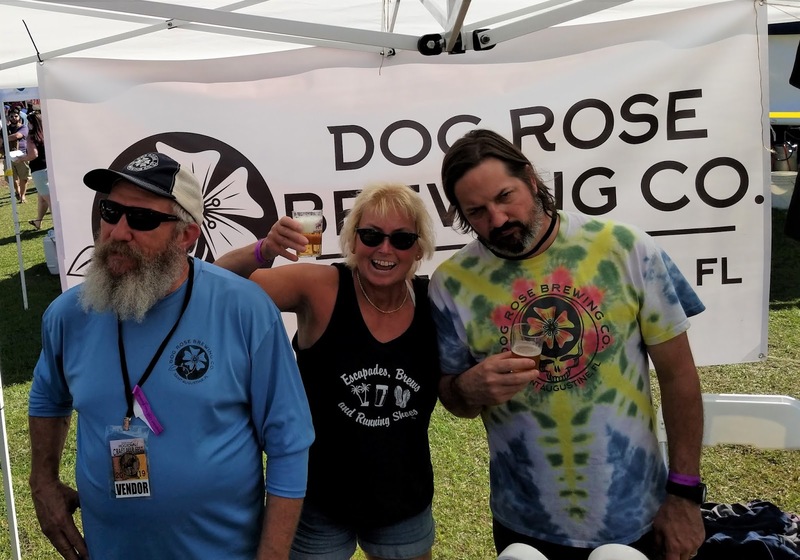 So, yeah, the beer has something to do with it! By the way, another cool spot to visit when in TLH. As a scuba diver, I don't think I want to mess with that helmet, though. In another one from the don't-wait-til-it's-over lesson, Proof Brewing (Tallahassee) also had a good afternoon pouring its beers, because a return trip near the end of the day for a second visit with David found the tent down and the table empty. Ah, next time! Dragon Point IPA on point. Never short on the fun here. 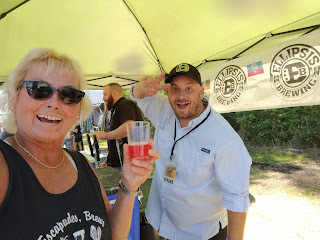 Yes, that's really a pink beer: Fruit Punch Project Berliner. Can't leave this one out. Bursting with flavor, like a beach in your mouth (without the sand). Just like a beach! Nicely done, Craig (head brewer)! The beerfest crowd loved the weather (and the beer), and it was hello's and hugs all around! 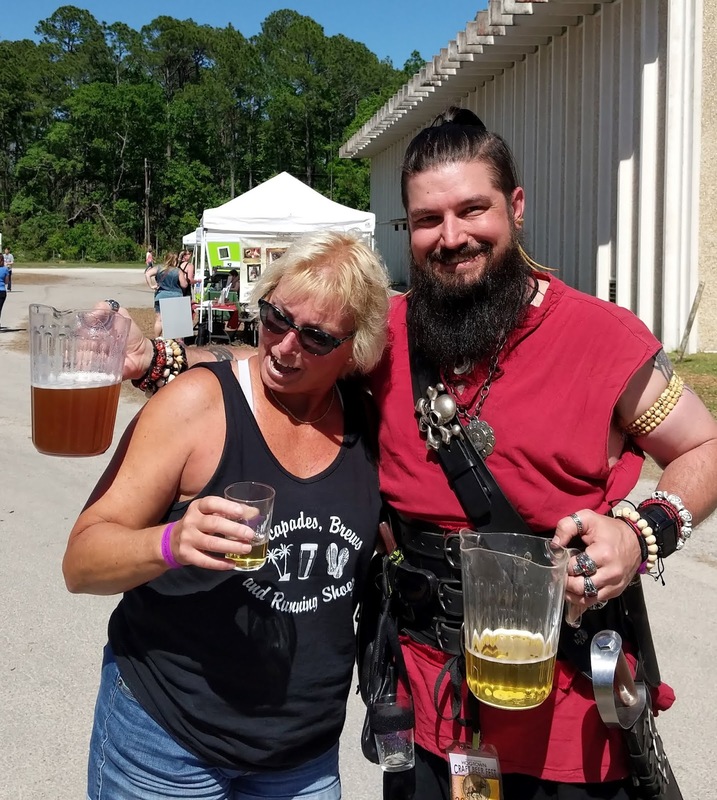 Always love meeting cyber-friends in person! Caption it! Gotta love it! 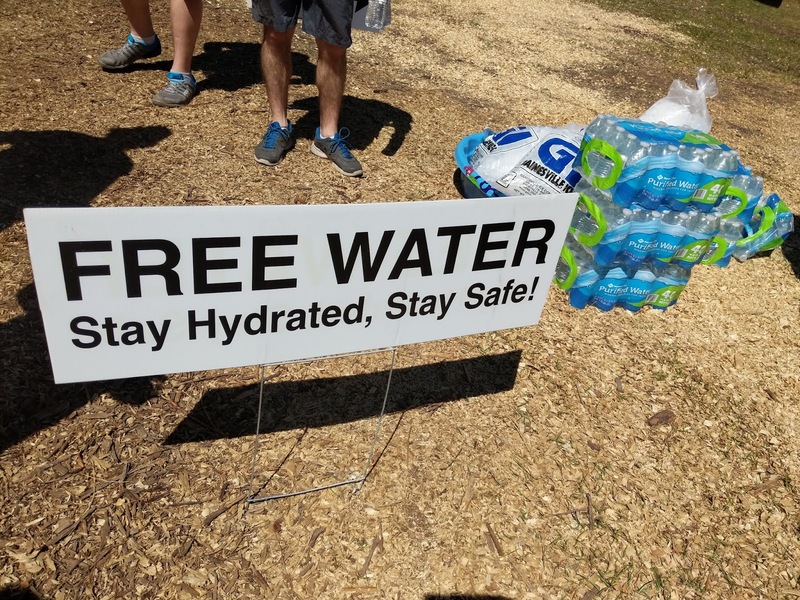 Hydration is always important, especially at a beerfest. 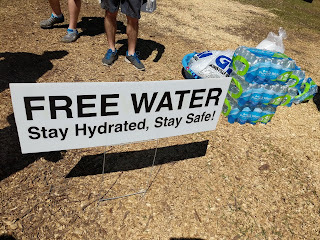 Cheers again to Hogtown Brewers for the water supply (Beerfest organizers, whether it's by bottle or refillable stations, take note!). In addition to the beer and camaraderie, beerfests are also educational. Really! There are usually new breweries-in-planning on the roster. A couple of years ago, this site met A Little Madness Brewing (Pensacola) at this fest. 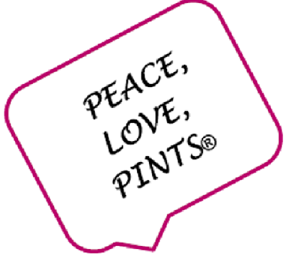 Look at them now, open since October 2018, and brewing a variety of beer styles for everyone. Co-Owner David (right) and crew. Already getting a larger 7-barrel system. 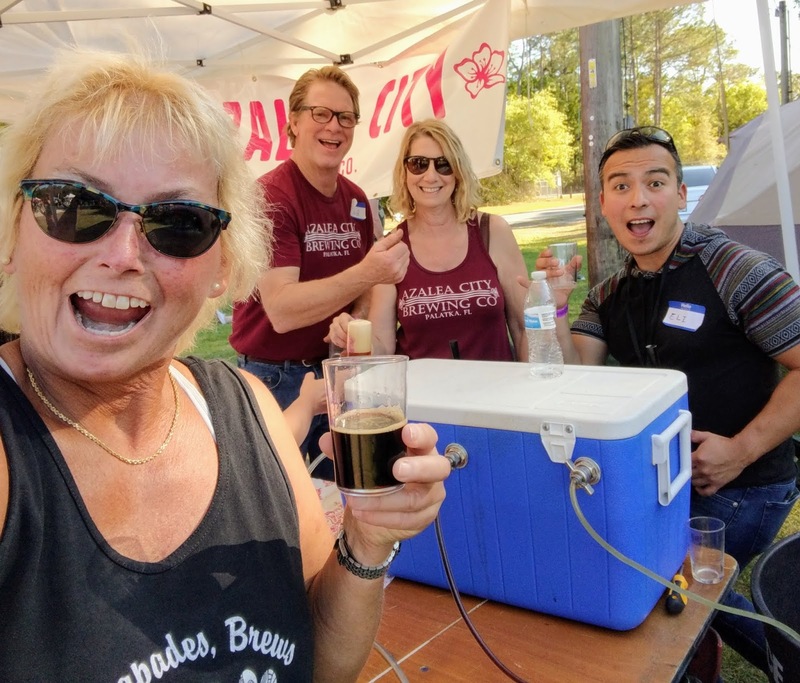 Add another one to the list: Halpatter Brewing (Lake City) was a first-timer here a few years back before opening. Now, they're a medal-winner (2019 Best Florida Beer Silver for O'leno Cream Ale). 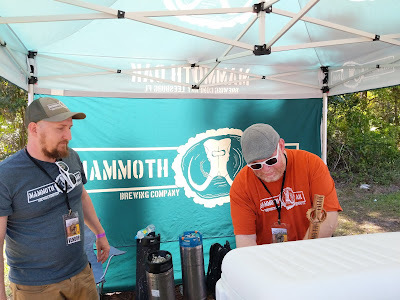 Head Brewer Isaac and Bar Manager Chris getting a taste of beerfests! 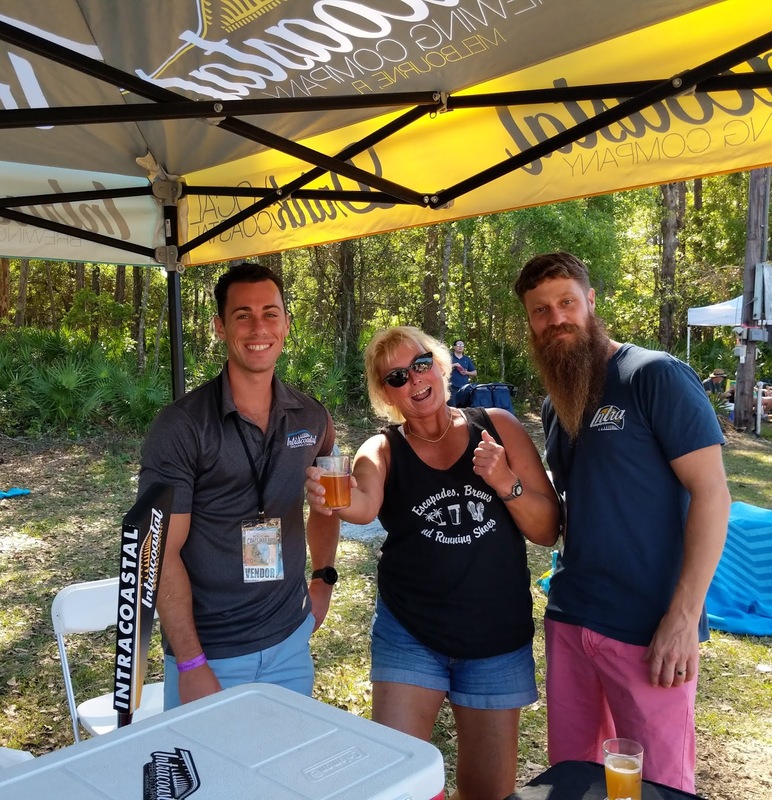 The crew from Azalea City Brewing (Palatka) looks like they already have this beerfest thing down, as Andrea plans to open by the end of the year. 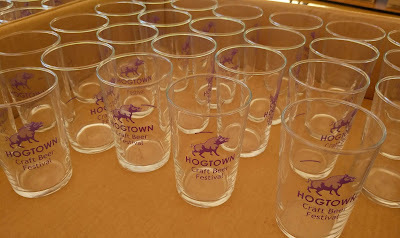 Another Hogtown Craft Beer Festival in the books! 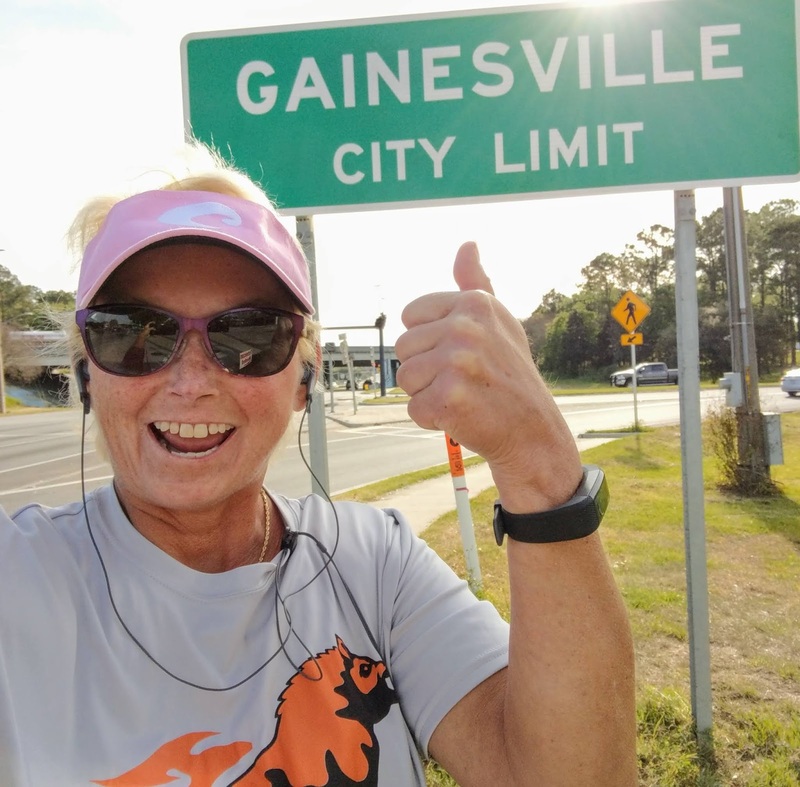 But, that wasn't all in this Gainesville trip! A dinner visit to Wahoo Seafood Grill along Hwy 222 was in the plans for some... seafood! This is a lively place, with a bar, restaurant and outdoor patio seating. Basketball on the TVs (not the happy outcome for the Gators fans, though). Several local beers on tap. It was tough to decide on the food, so the decision was crab cake appetizers, shrimp and scallops ... and leftovers! First time here, and won't be the last! Wahoo! 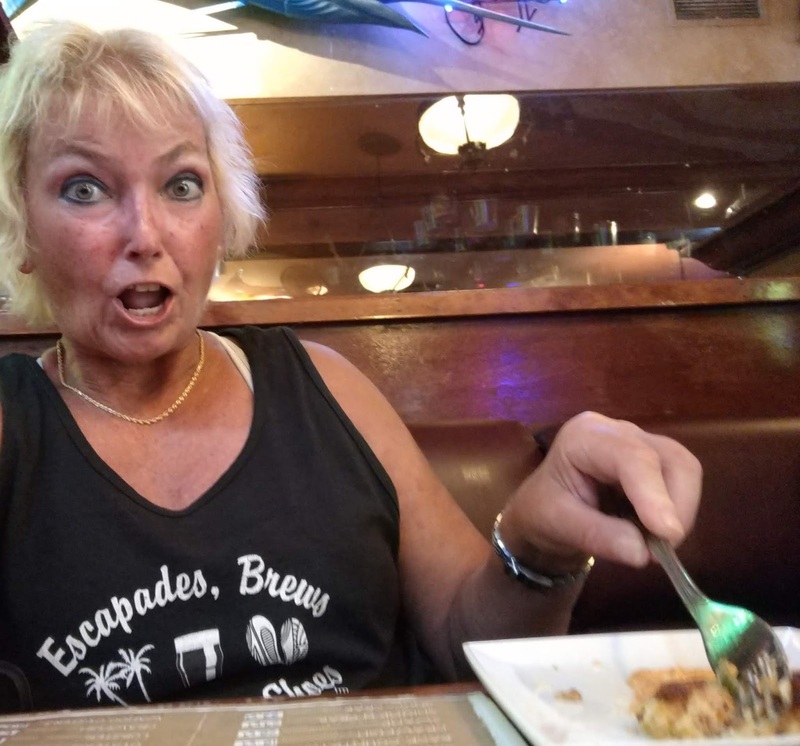 Well, it's crab cake, shrimp and scallops! After an early evening on Saturday (sun and beer will do that), it was an up-and-get-going kind of Sunday! 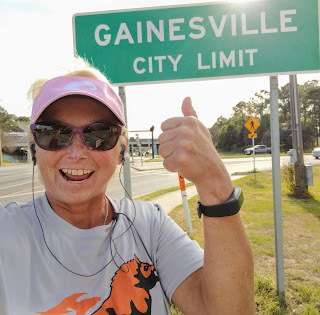 A 5k training run could have been a bit better (beer and sun the day before will do that), but, hey, it was another great day in Gainesville! 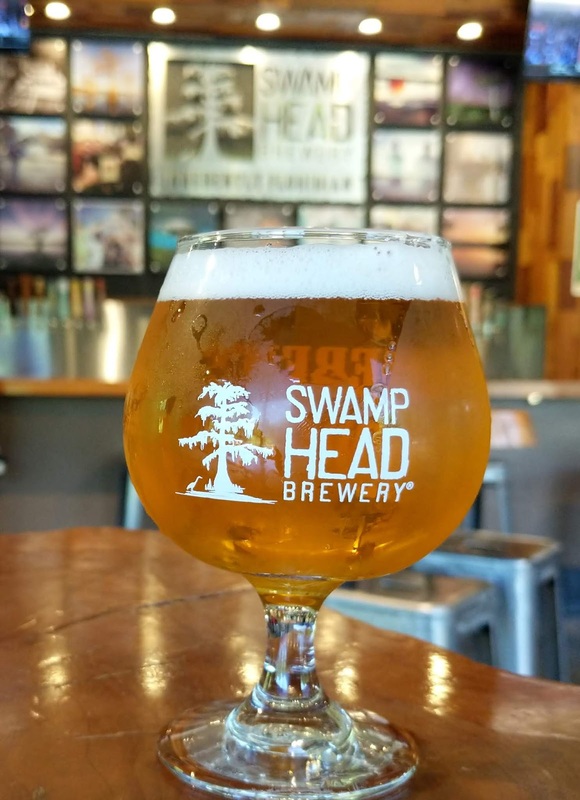 And, last but not least, a stop at Swamp Head Brewery, for some awesome scenery and beer! Watching wildlife at the pond behind the tap room at Swamp Head Brewery. What's that, a new pavilion going up there? The gator was out and about! 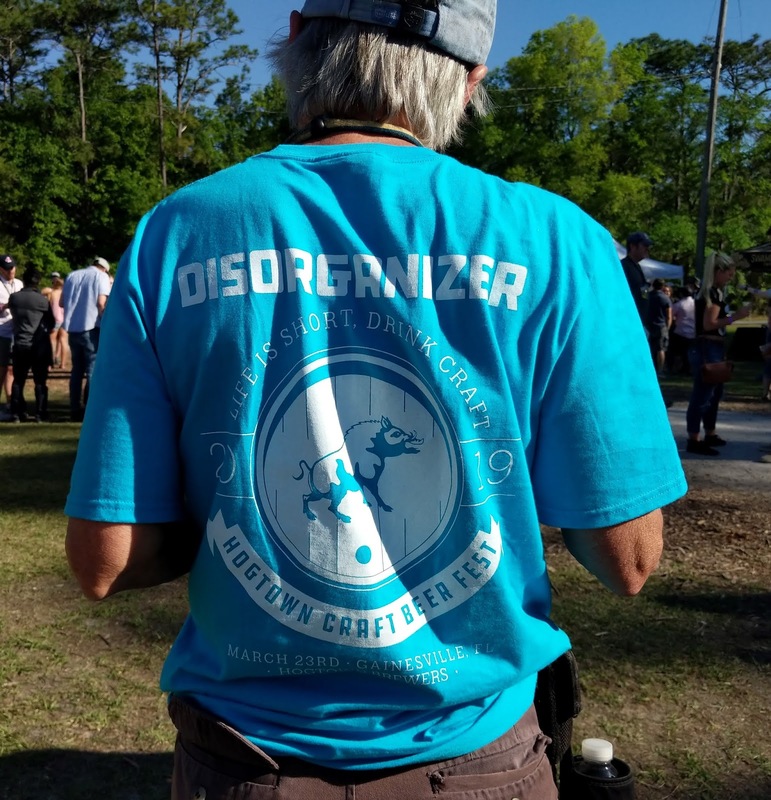 March Merry-ness, brought to you from the "disorganizers" at Hogtown Brewers. Well done. It was another awesome time at an awesome fest (and thanks to Mother Nature, too). 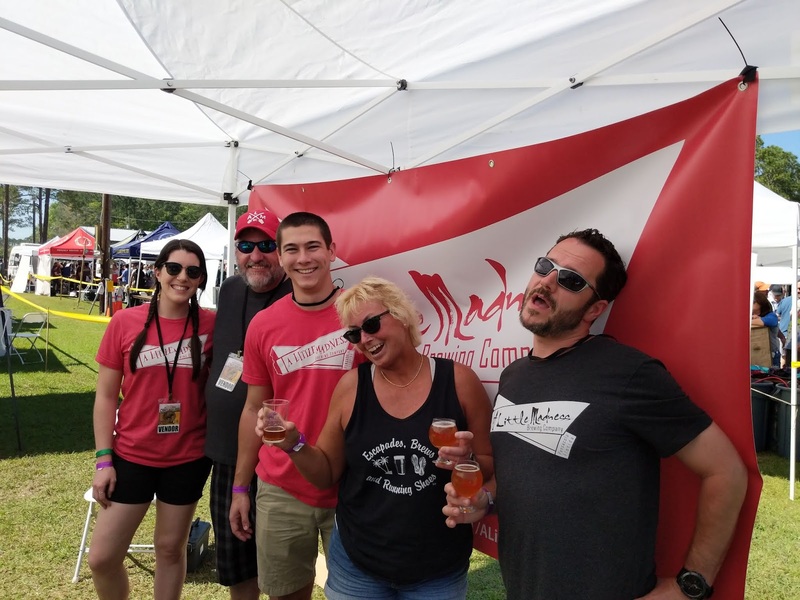 Be on the lookout for tickets for next year's fest sometime around December, and be sure to snag 'em before they're gone (because they will be). And, that's how to do a weekend! 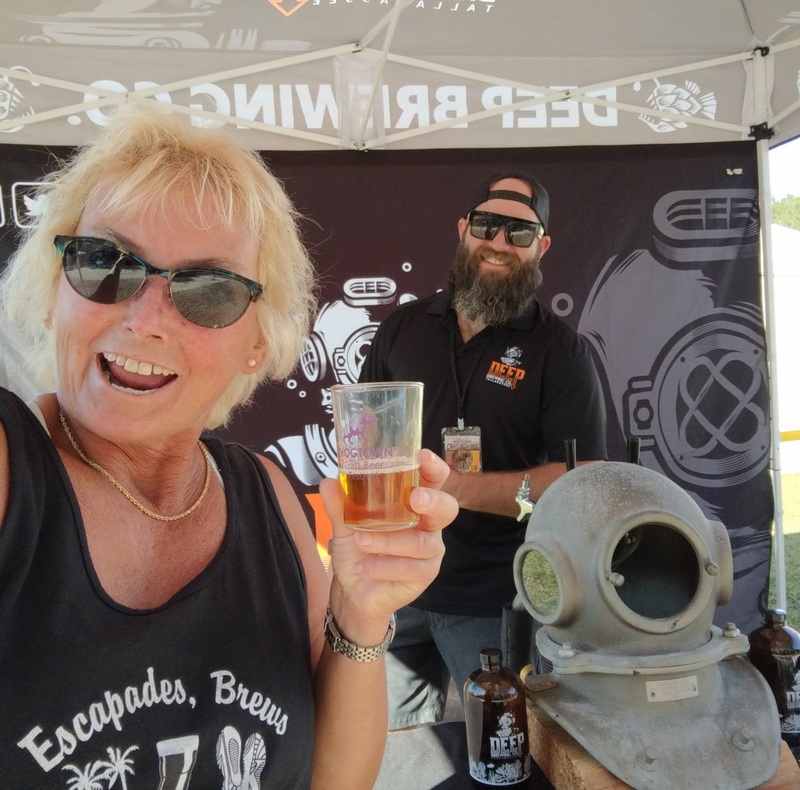 Thanks to all the brewers/owners for the photos here ... couldn't do it without you! Cheers to Hogtown Brewers once again!